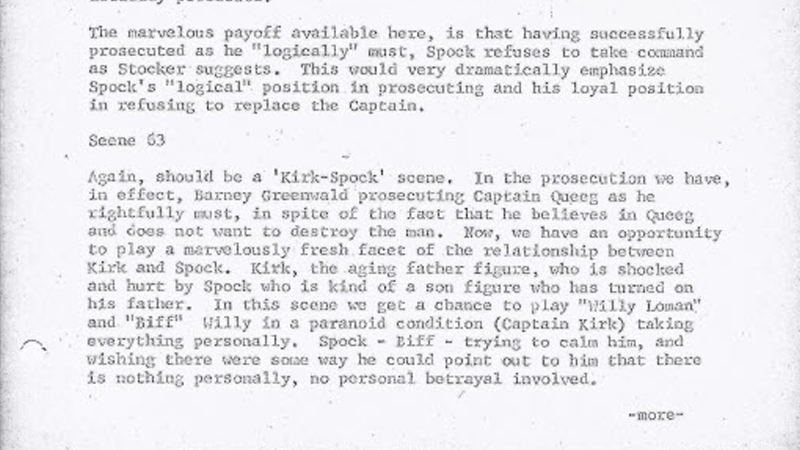 A 1967 letter from Leonard Nimoy to Gene Roddenberry offering notes on the script for the season two episode “The Deadly Years”. The making of the original Star Trek television series, has been well documented at this point. But a new book examines some of the rarest artifacts from the cast and crew and their time making the series, through behind-the-scenes photos, letters to fans and producers alike, and much more—and we’ve got a wonderful look inside. Autographs of the Final Frontier, by Gerald Gurian, collects hundreds of letters, notes, and autographs from the stars and guest stars across Star Trek’s three seasons, detailing everything from interactions with fans to recollections of filming, to even, as you can see above, some of the cast’s thoughts on then-upcoming episodes. It’s an astonishingly intimate look into the lives of the people behind one of scifi’s most beloved franchises. The cover to Autographs of the Final Frontier. Check out a huge gallery of samples from the book below—including the rest of the above letter from Leonard Nimoy providing notes about the season two episode “The Deadly Years”—in the slideshow below. Autographs of the Final Frontier is available now.